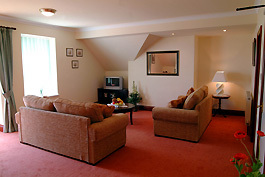 Our ground floor apartment consists of a large on-suite master bedroom and a smaller second bedroom. 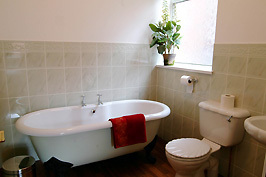 A second bathroom is provided for the convenience of other members of your party. 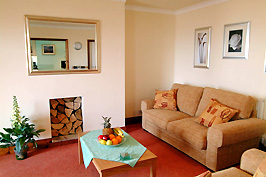 A fully equipped kitchen leads onto our spacious lounge and dining room. And to enjoy the view a conservatory provides the perfect setting in which to relax, soak up the sun and watch the world go by. This apartment is ideal for parties of 3 people, including children, or for anyone who would struggle with stairs. Both our first and second floor apartments are identical in layout. 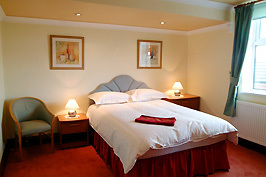 Both have a double ensuite bedroom and a family bedroom with a double and single bed and a house bathroom. The large lounges lead onto American style kitchen diners and out onto extensive private patio balconies, affording spectacular and unobstructed views of Bridlington Bay. 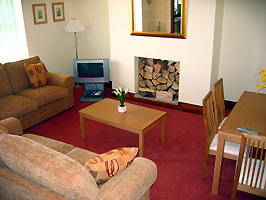 Both these apartments are ideal for parties of up to 5 adults. 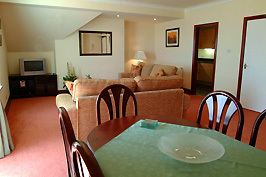 Our penthouse apartment consists of two double bedrooms, both enjoying en-suite bathroom facilities, and a smaller single bedroom. A well-appointed kitchen leads onto a huge lounge and dining area which in turn opens onto a spacious patio balcony enjoying unrivalled views of the beach and bay. 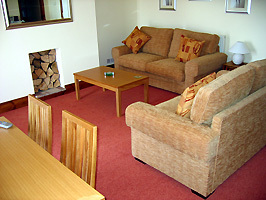 This apartment is ideal for parties of 5 persons. All our apartments are furnished to a high standard and are fully equipped with integrated home entertainment systems, including DVD players and wide screen TVs. 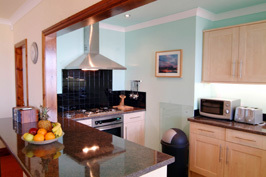 Our kitchens are fully equipped with kitchen appliances, fridge, freezer and dish washers.